CDC Now Has Tips For Surviving A Wedding : Shots - Health News The public health gurus are using weddings as teachable moments for disaster preparedness. Plan ahead, prepare an emergency kit, and stay informed, the Centers for Disease Control and Prevention advises. But that's just the beginning. If you're planning a wedding, the Centers for Disease Control and Prevention has some advice for you. Really. Leave it to the public health gurus to turn a day that's supposed to be one of the happiest in people's lives into a lesson in preparing for a real-life nightmare. "Being in the throes of wedding season, many of us here at CDC realized that planning for a wedding isn't that much different from planning for a disaster. Just remember: Get a Kit, Make a Plan, and Be Informed." So what should go in your wedding kit? Well, the CDC suggests some "extra safety pins, makeup for touchups, maybe a few sedatives." For real? To get through the wedding ceremony without being doped up, there's some evidence a beta blocker might be a better choice, though, it must be said, the blood pressure drugs aren't approved for matrimonial use. A so-called go-bag wouldn't be a bad idea either, the CDC says. A well-stocked emergency kit would include, among other things, a flashlight, first aid kit, local maps and a whistle to call for help. No argument there. Not sure most bridesmaids would put one together for the bride, as the CDC suggests, though. As for planning, the CDC shows lots of common sense. Make sure you've got a way to contact guests in case an emergency arises. Extra umbrellas help if there's rain. In case of a tornado, the CDC asks, "would you know what to do? 200 guests are not going to be able crowd into the one windowless bathroom." Actually, that might just work if the wedding is being held at MetLife Stadium, but it's probably best not to put that theory to the test. The third leg of the wedding stool is all about staying informed. Weather hazards and "Bridezilla" should be on your radar, the CDC says. OK. But the advice seems to presume the bride is going to become an emotional basket case, requiring an army of people to attend to her needs. There are plenty of cases of rock-solid brides having to deal with jittery grooms. Believe me. 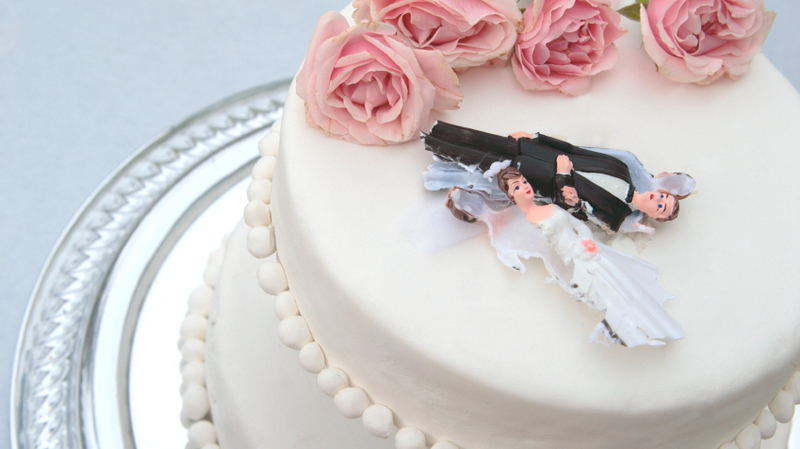 The CDC's wedding plan has a whiff of the "zombie apocalypse" about it. CDC had a runaway hit last year with its campaign to help people prepare for natural disasters by getting ready to deal with a zombie attack. If you're ready for zombies, you're ready for anything, right? That may well be, but trying to turn a wedding into a teachable moment for disaster preparedness seems even more of a stretch. If you really want to avoid a wedding disaster, keep it simple and elope.